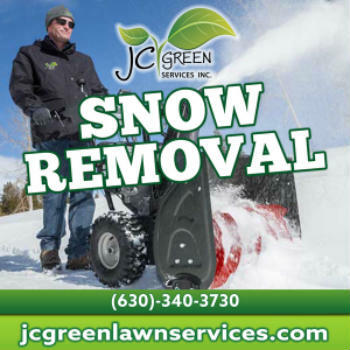 Keep your driveways and walkways clean this winter with snow plowing and snow removal services from JC Green. Snow Removal services in Aurora, Naperville, Oswego, Batavia and North Aurora. Includes driveway, public walks, front walkway and stoop with calcium ice melt. + $10 Extra for corner house + $10 for Patio, deck, side walkways Contact us today for a snow removal estimate!